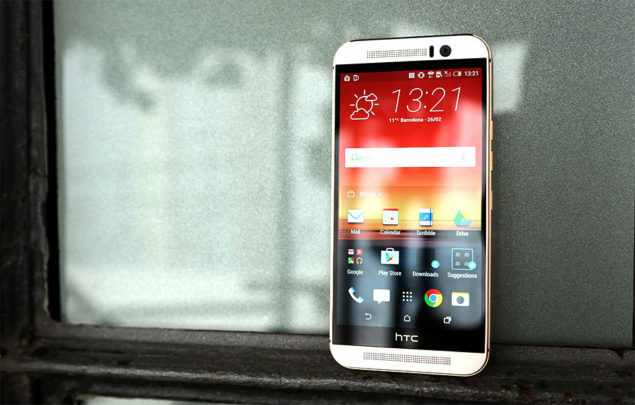 One M9 of HTC getting a MediaTek version later this year? HTC Releasing MediaTek SoC Variant Of One M9? After the Snapdragon 810 version of HTC One M9 brought in less than the projected revenue for the Taiwanese company, it looks like HTC is finally doing something of worth, releasing a MediaTek version of its One M9 handset. The only question remains, which SoC from MediaTek will the latest version of One M9 be sporting? According to ePrice, the MediaTek version of HTC’s One M9 is going to be released during sometime in October. While the source does state that the handset is going to be released in Taiwan, it does not mention if the device is going to be released globally. Releasing it globally will do the company more favors than keeping it limited to a single region. Throughout 2015, HTC performed very poorly, and releasing a flurry of different high-end handsets did not turn the wheel of fortune towards the company’s favor. A sizable investment from Chinese security company Qihoo 360 was required so that HTC would have sufficient capital to work with when releasing improved handsets. The reason for releasing a MediaTek version of One M9 is very straightforward; due to Snapdragon 810’s overheating attributes, the company is obviously through with Qualcomm momentarily while it searches for another alternative mobile chipset manufacturing firm. In order to rival the performance of Snapdragon 810, we suspect that the ‘system on a chip’ running inside the upcoming smartphone is going to be Helio X20, or in other words, MT6797. For those of you unaware of this, Helio X20 is going to feature a deca-core processor, and will be void of Cortex-A57 cores. Instead, the chipset will have Cortex-A72 cores (two of them), and their performance will be supplemented by eight Cortex-A53 cores. In our opinion, this is the chipset that should be present in the company’s MediaTek version. However, we cannot help but feel that the handset will be incorporated with Helio X10, which is no pushover when it comes to performance, but lacks the extra kick delivered by Snapdragon 810. Are you guys looking forward to seeing an HTC One M9 sporting a Helio X20, or will a Helio X10 suffice? Let us know your thoughts.